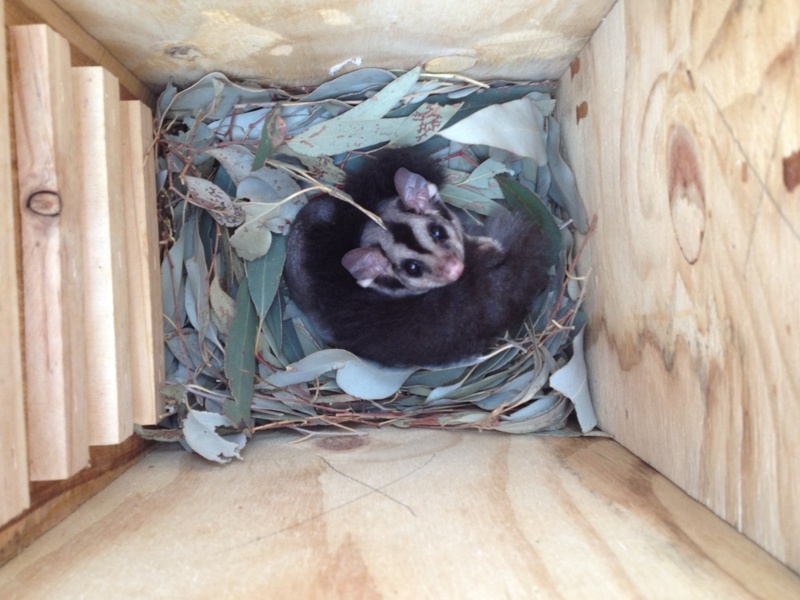 The Squirrel Glider Project was initiated by the Lachlan Catchment Management Authority in 2011 as part of the program “Communities Protecting Threatened Species” which aimed to foster public awareness of threatened species and address known threats by implementing on-ground works aimed at improving habitat quality such as installation of nest boxes, planting of trees and shrubs, barbed wire removal and trapping and baiting of cats and foxes. The program engaged the community in an effort to encourage project ownership beyond the LCMA’s involvement. The project location (Crowther) was selected based on NSW Wildlife Atlas records but also landholder accounts of Squirrel Gliders entangled in barbed-wire and WIRES rescues performed in the area. Mid Lachlan Landcare became involved with the project in autumn 2012 to undertake spotlighting and monitoring of the nest boxes. 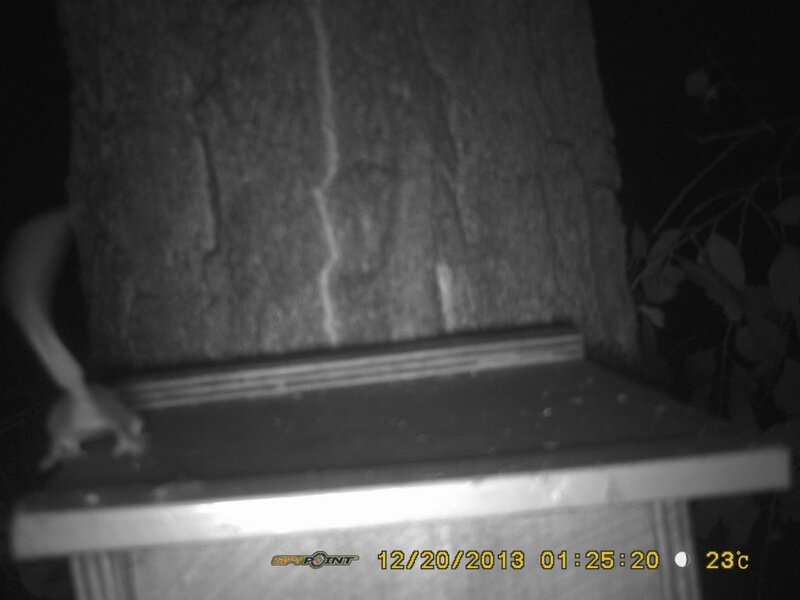 During this time, five squirrel gliders were detected using a single nest box. A total of 99 nest boxes are now installed on 10 properties with monitoring conducted bi-annually during autumn and spring. Occupancy rates are steadily increasing with singles, couples and family groups found using both front and rear entry boxes positioned in a number of different eucalypt species within box gum woodland vegetation communities. Following recent surveys in May 2014 a total of 31 nest boxes were being used by Squirrel Gliders with 13 gliders detected using 6 nest boxes and 25 leaf nests unoccupied at the time of surveying. Remote cameras have also been installed and along with Squirrel Gliders have detected Feathertail Gliders, Yellow-footed Antechinus, Ringtail Possums and Brushtail Possums within the project area. Young District Landcare is also supporting the project, with Landcare Support Officer Mikla Lewis assisting with monitoring and organising field days and workshops in the area. School students are also learning about the project, with events being held this coming September to celebrate Threatened Species Day. For more information, fill out the form on the Contact page. You can also access our Squirrel Glider Species Profile from the Resources page.